The last 2 weeks Phi's school has been doing state testing so homework has been light. This week we are back in business and we are in the home stretch. Language Arts: Phi started a new book this week that goes along with what she is studying in social studies. "The Earth Dragon Awakes" by Laurence Yep is a short book and we are only about 28 pages into it but the book is filled with great imagery. The story so far is about 2 different families, one white and wealthy and the Chinese father and son who work for them. 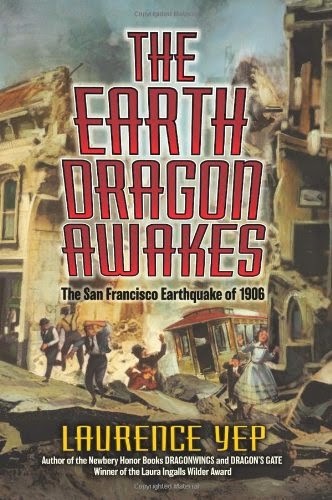 From what I can tell this book will tell how the 1906 earthquake brought people, despite race or money, together to rebuild. Since there is not a novel study with this book Phi was assigned a diorama. In it she had to include what Chinatown looked like before the earthquake and include 2 characters from the book. She also had to give a brief description of what Chinatown was like and list some of its landmarks. Here is her finished product. Math: This week we moved on to working with tables and word problems. I liked this week because it was real world problems. One worksheet was just about paying for items and change. This week I picked up some division flashcards from Target. Phi is still struggling with multiplication and division. It has made all other math a struggle. The plan over the summer is to get multiplication and division memorized and then review everything from this year. I spoke with teacher and she informed me that math really gets harder next year. 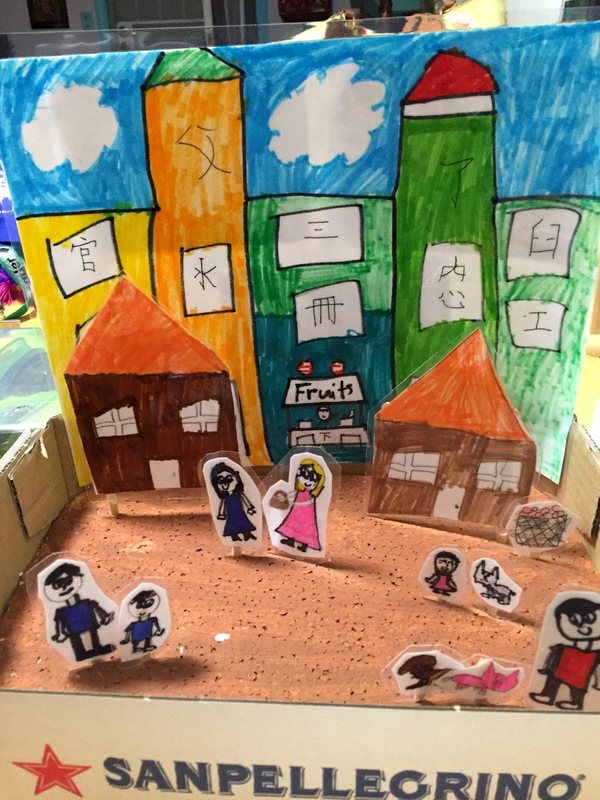 Social Studies: This unit was about Chinatown, San Francisco in the early 1900's. The lesson was all about how the community developed and how hard hit it was after the quake. Science: This week we talked about sound waves. We learned about how they travel and how to measure them. We looked at different sound waves and tried to determine their volume and pitch. PE: Thanks to Nina Elaine and Kelly Phi met her required 100 minutes of PE time with a 14 hour day at Disneyland last Friday. Thanks!